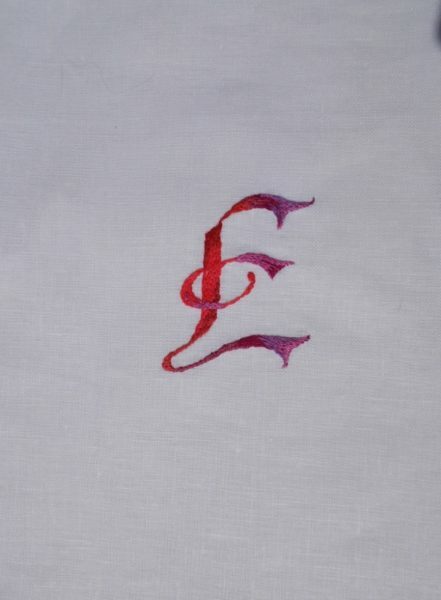 This calligraphic F has been embroidered in stem stitch and was inspired by the handwork of Maricor/Maricar, a pair of Sydney based embroidering sisters who are bringing hand embroidery, both design and execution, bang up to the minute. I love the colour shading in that F – it looks like watercolours! I used to enjoy playing with ancestral toys too. I’ve never met a child that didn’t! Don’t feel I’ve managed as crisp as edge as I would have liked with the changing of colour – must practice. There’s something so satisfying about producing a somewhat worn but intact boxed toy, let alone actually playing with it. Lucky it happened for you too, Rachel. I just discovered your blog last week searching for some embroidery guidance and am enjoying reading the archives! So true about grandchildren and toys – our grandson has had a lot of disruptions and has asked us if we are going to keep various things for him when he visits – we certainly are! So glad to hear you’ve enjoyed my blog, Ceci. Thank you for being so kind as to leave a comment. Children love knowing that there are toys available for them, don’t they, and they are also seem quite happy for them to stay here when they go? I have just caught up with your last three posts – all of which are, as usual, enjoyable. 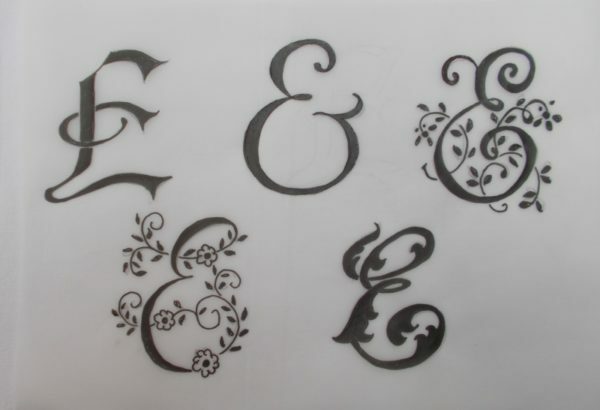 Each monogram so very different but delightful. 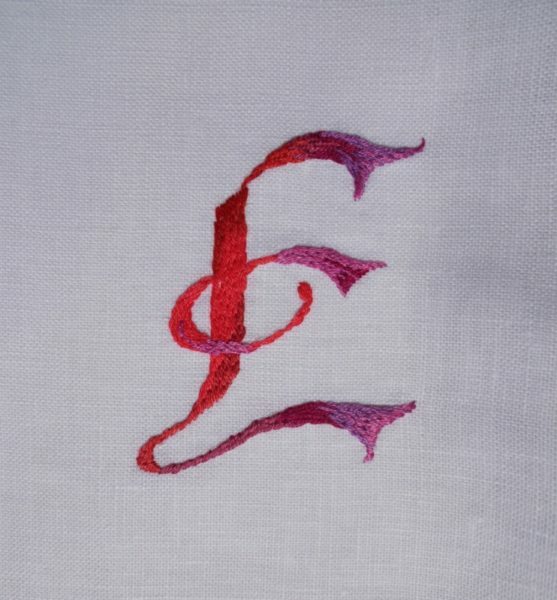 The remark you made in the post on the “C” has made me realize that what some of my embroidery on the quilt is missing is underpadding to make the satin stitch more prominent. I think you mentioned it in a long ago post but my aging brain had forgotten. Thank you. I like a bit of padding on initials. If I’m organised I use a bit of white felt (which washes perfectly well I’ve found when covered by stitches); if I’m feeling lazy and happy in front of the television, I’ll just do a lot of loose chain stitch which tends to make the final initial a bit less plump than felt. Best of luck with the quilt, Anne.